Dhaka to Sylhet Train Schedule, Time Table, Price! Today, we discuss with you about Dhaka to Sylhet Train Schedule, Price and more. You know that a large number of people in BD Journey by Train. So, we provide Dhaka to Sylhet Train Schedule Time Table and Ticket Price. If you want to journey by Train Dear Friend, No tension we successfully Provide Dhaka to Sylhet Train Schedule 2019, Time Table and more. Just continue Reading the full content and get the full idea about Dhaka to Sylhet Train Schedule. There is totals 11 quality Dhaka to Sylhet Ticket available to buy. If you need to know all kinds of information about the Sylhet to Dhaka Train Ticket Fare, just follow the below. Computer Ticket Price 135 BDT. 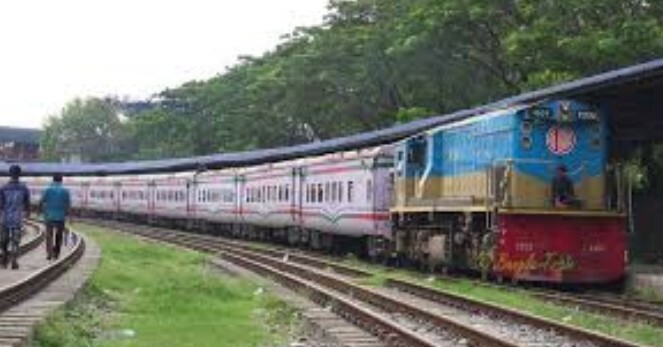 There are 5 trains go to Sylhet from Dhaka, whose name is Parabat Express, Upaban Express, Joyantika Express, Kalni Express, and Surma Mail. Some Train has weekly off day. So, carefully check it, then buy tickets. Day by Day Bangladesh Railway increase their service. So, many people are interested to journey by Train. Here below Sylhet to Dhaka Train Schedule with Off Day. Finally, we hope that you have successfully understood about Dhaka to Sylhet Train Schedule full concepts. Do you have any question about Dhaka to Sylhet Train Schedule, Price, just comment here? We solve your problem as soon as possible. Thanks for staying with us.